Looking for an affordable Home Gym packed with features and built to high structural standards? Why choose between saving money or having a quality Home Gym when you can have both? 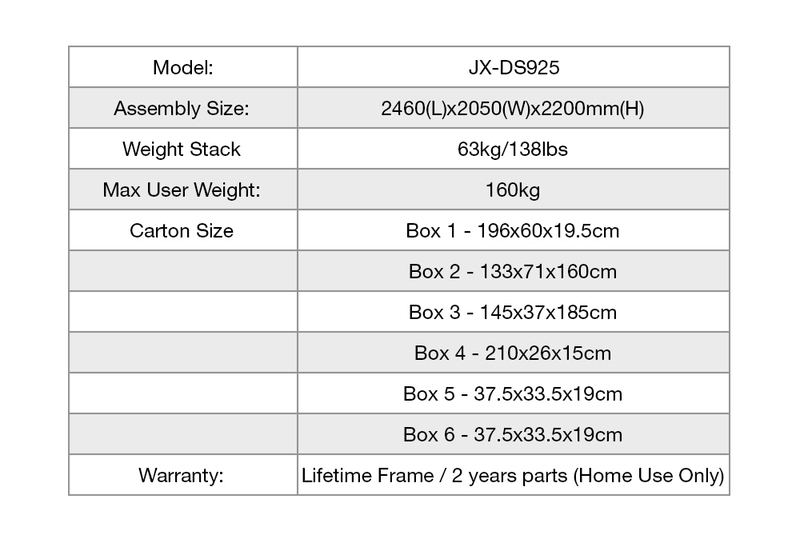 The JX-DS925 offers a variety of stations and allowing for up to 3 different users on the machine at once. The JX-DS925 allows the user to complete exercises that would normally require multiple different machines and all in a compact unit. On one side you have a fully functioning Seated Chest Press and Pec Deck (simply adjust the pins). Above you head is a Lat Pull Down Bar to work a variety of muscles and in front of you is a 40 degree Adjustable Leg Press (to suit people of all sizes). 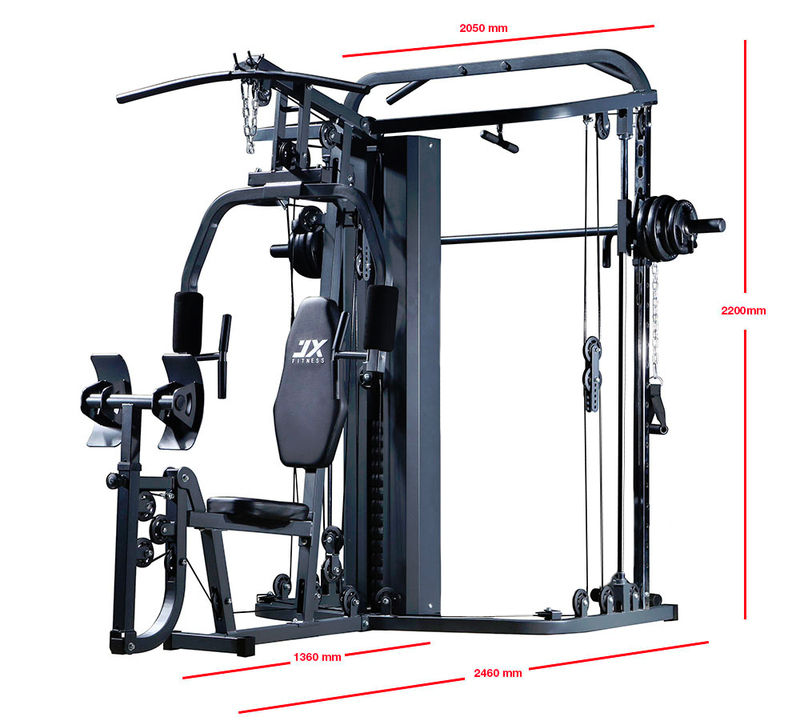 As id that wasn’t enough the JX-DS925 also includes a Chin Up Bar, fully adjustable Functional Trainer and a Smith Machine for those wanting to train safely with free weights. With these three additions you can perform just about any exercise you want!